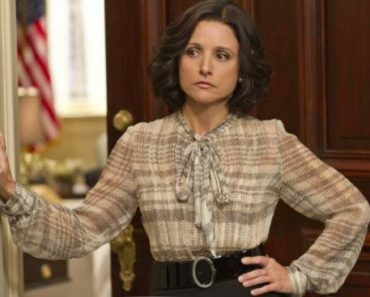 After having premiered the trailer to the highly anticipated Lena Dunham comedy Girls earlier this month, HBO has given us a look at another new female-led comedy in Veep. 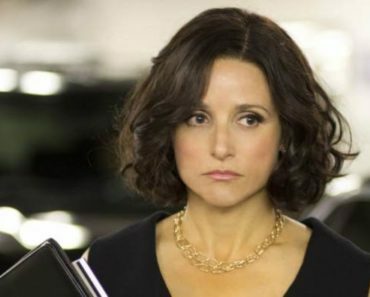 From the mind of Oscar nominee Armando Iannucci (The Thick of It), Veep follows former U.S. 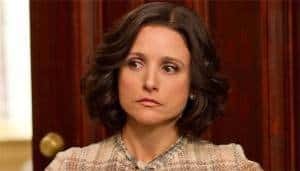 Senator turned Vice President Selina Meyer (Julia Louis-Dreyfus, Seinfeld) as she tries to get a hang of one of the most prestigious and pressure-filled jobs in the country. As the trailer, titled “Core”, shows, she may not have been as prepared as she thought it would be, whether it be botched speeches or the possibility that at any moment she could be running the country. Joining Meyer in her quest to navigate DC are her chief of staff (Anna Chlumsky, My Girl), press spokesman (Matt Walsh, The Hangover), right hand man (Tony Hale, Arrested Development), and secretary (Sufe Bradshaw, Star Trek), with Reid Scott (My Boys) and Timothy Simons (Days Together) portraying Meyer’s primary opposition. This will be the return of Julia Louis-Dreyfus to series television following the cancellation of The New Adventures of Old Christine, a role that earned her a second career Emmy. Most known for her role as Elaine Benes on Seinfeld, she was last seen in the live episode of 30 Rock. Veep premieres Sunday, April 22nd at 10:00 on HBO following a new episode of Game of Thrones. Dunham’s Girls ends the night at 10:30. Will you be checking out Veep when it debuts this spring? Does the trailer make you more excited to see Louis-Dreyfus return to television? If you’re a fan of Iannucci’s work, do you think he can recapture what made The Thick of It and In the Loop so good?